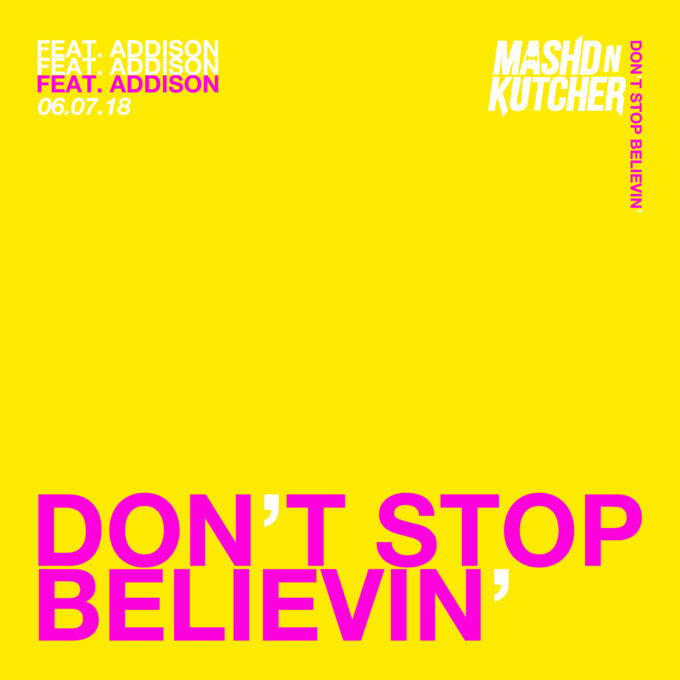 Those Mashd N Kutcher boys have dropped the video for their latest single ‘Don’t Stop Believin’, a cover of the Journey classic. The track, which features vocals by Addison, dropped earlier this month, long before they pranked German fans with an ad for National Tiles. Now, however, we say helloooooooooo to the music video for ‘Don’t Stop Believin’. It features two young hopefuls, searching the streets of Fortitude Valley in Brisbane for the perfect spot to set up a performance. They find it in an alcove. As it happened, the Mashd N Kutcher boys just happen to be passing by and give the young performers a helping hand to hone their performance.